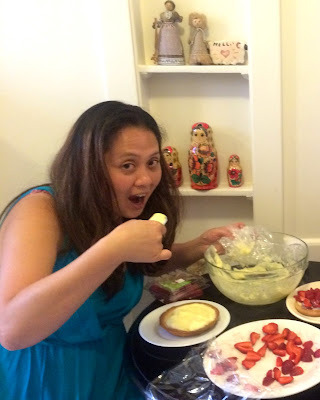 Miss Patisserie: Tart Baking Class & Tea Party! 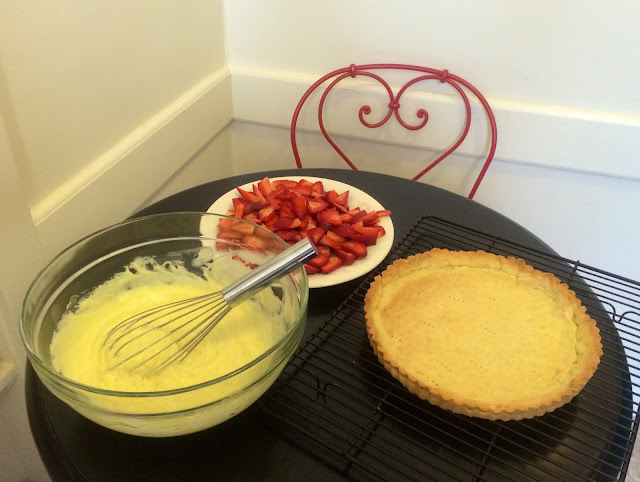 Tart Baking Class & Tea Party! 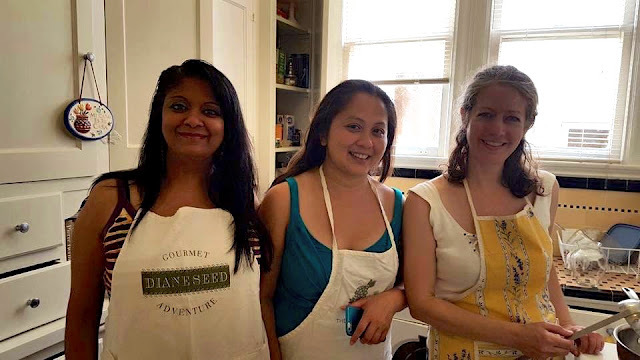 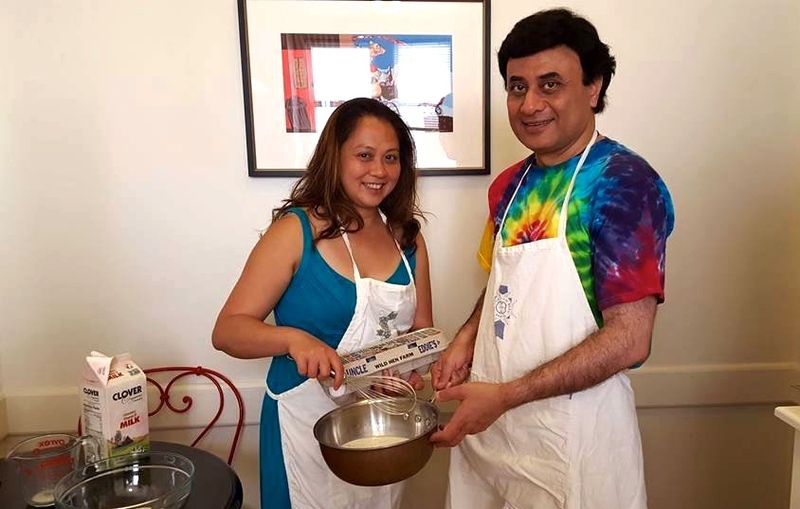 Here's a review of the baking class & tea party in June for those who weren't able to make it. We had so much fun preparing traditional French-style Tartes aux Fruits (Berry Tarts). 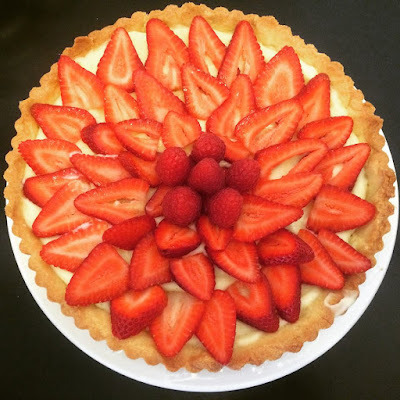 The strawberry season lasts until September, so it's still a great time to try this classic recipe that I learned in France. 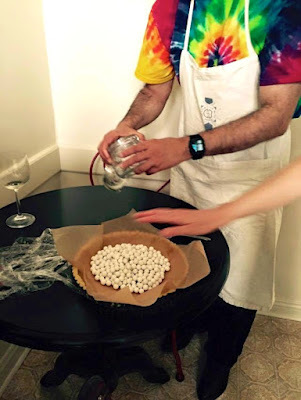 See below for a mini photo album of our efforts in the kitchen. Everything is ready for assembly! After the class, we enjoyed our freshly made tarts with Marriage-Frères tea (from Paris)! 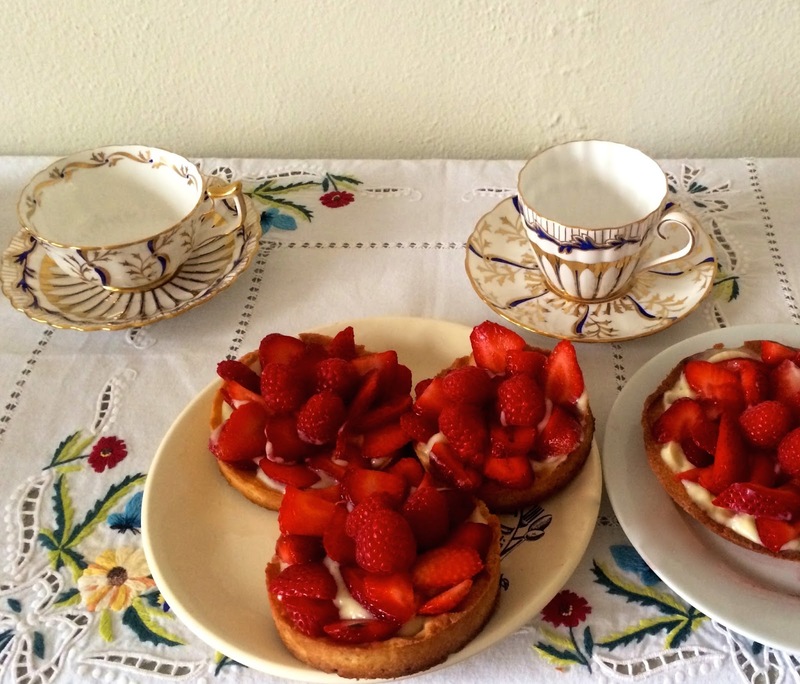 The tea service featured dainty fine porcelain tea cups in lovely gilded patterns! Strawberry Tart is the perfect summertime dessert for afternoon tea in the garden! You could imagine being on the set of "Downton Abbey".